Description: Our classic monogrammed heavy paperboard coasters with a new polka-dot border! 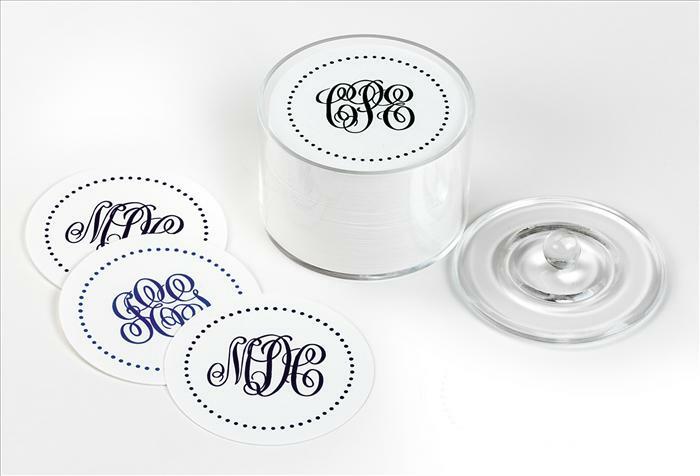 100 heavy paperboard coasters with a monogram, matching border and optional clear acrylic holder with lid. Specify red, hunter, blue or navy ink. Font only as shown.